Advocates against domestic violence are all too aware of how often violence against women is perpetrated. We come to work day after day and are often the first to hear horrific stories of domestic and sexual abuse. We know that one in four women will experience domestic violence in her lifetime . We know that one in three will experience some form of physical or sexual violence . We also know these numbers are way too high. Many of us escape through popular culture – reading books, listening to music, watching movies, and binge-watching television shows. We develop celebrity crushes; we have favorite actors that we follow from show to show, TV screen to movie screen; we download that new album when it drops. Like many, we are devastated when we hear that the celebrity or public figure we have admired for months, years, or even decades has abused, raped, stalked, or harassed another person. Thanks to our national obsession with social media, it usually doesn’t take long to hear the news. Studies show that 65 percent of adult Americans use a social networking site  and 67 percent get some news from social networking sites . As advocates, we brace ourselves: will there be pictures or video this time? How will the media and the public react to the survivor? How can we show our support for the survivor? How can we address the abuse? How can we hold the offender accountable? 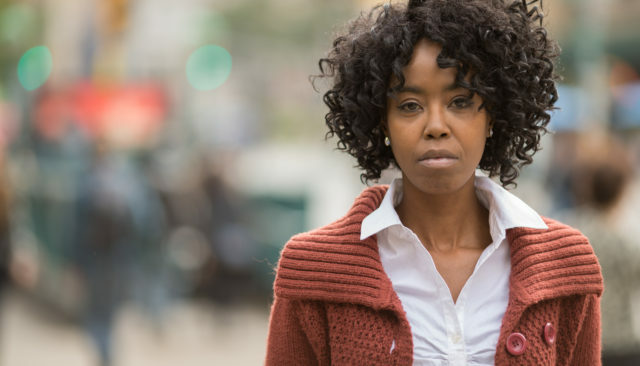 As the national conversation continues on holding abusers, rapists, and offenders accountable, how do our personal thoughts and feelings fit in? Which brings us to an important question: As advocates and allies against abuse, how are we to respond when our favorite celebrity commits an act that goes against everything we stand for? Do we stop cheering for a sports team? Throw away our DVD collection of a certain television show? Delete music from our playlists? Boycott movies? Can we separate the art from the artist? Should we? Own Your Emotions. We live in a hyper-tolerant culture. We are supposed to contain our anger and “not let things get to us.” This kind of thinking dismisses human nature and dismisses real experiences, especially in regards to gender-based violence and trauma. Our responses to trauma – direct or vicarious – will differ, and that is fine. Some may respond with a knee-jerk, dismissive reaction; others may respond with compassion. No response is better than the other, but we must own our actions and understand why we are reacting the way that we are. Know When and When Not to Use Social Media. Practice self-care more than you preach it. There is often the expectation that having a presence on social media means users have to respond to every single incident that occurs. You do not. Your choice to step away from social media, especially the comments, can be a healthy choice and not necessarily the result of apathy. On the other hand, there have been many instances when social media has been used as a positive space for survivors to share stories (i.e. 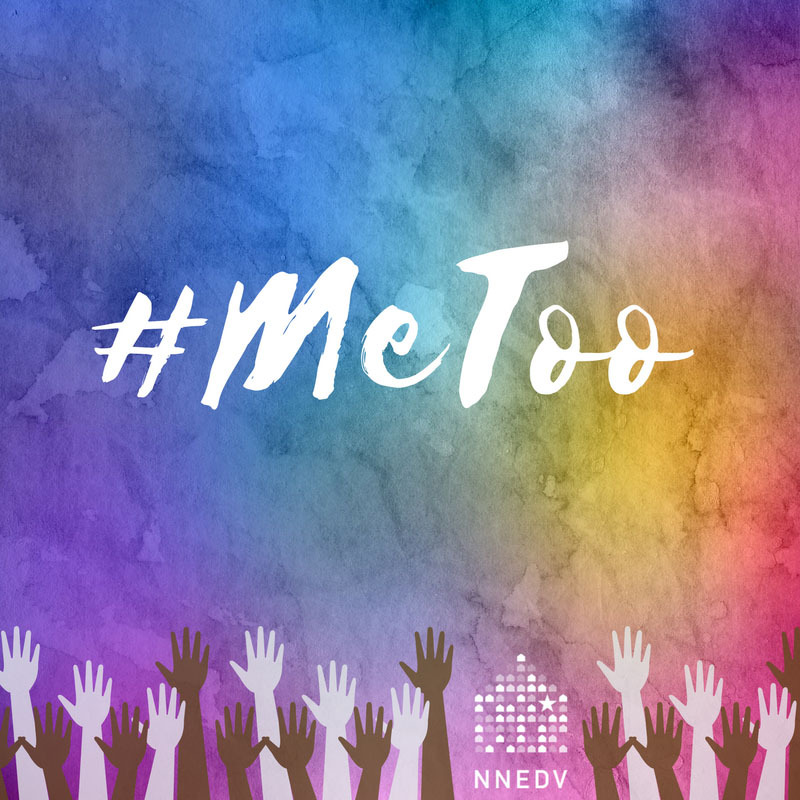 #MeToo, #WhyILeft, #WhyIStayed, #NotJustHello). Social media is a platform to have our voices heard – both within our immediate circles and around the world. Challenge Others. We all likely know people who do not understand why a celebrity’s behavior was wrong – or even a crime for that matter. You do not need to be a celebrity or social influencer to challenge the culture. You can reach the people around you and spark some discussions. Who’s around you and what part can they play, or do they play, to evoke change in attitudes about violence and oppression? Find out whose voice and perspective is missing from your immediate circle and how to lift up those voices and experiences. Challenge Yourself. Challenge your personal biases – what was your honest reaction the first time you heard the news? Are you proud of that response? Next, examine our national process for choosing whose contributions to society are celebrated and whose are condemned. Who gets the benefit of the doubt, and who does not? Think critically about how and why we choose to celebrate other public figures. Measuring remorse and attitude changes in the lives of people whom we admire, but do not know personally, is not easy; it may not even be possible. Determining how to deal with the news of your favorite celebrity committing violence or harassment, and whether to accept them back into the limelight once they have reformed, is not decided with a simple test. In making these determinations as individuals we need to ask ourselves what do we value. No matter what the court or the offender’s place of employment or the media decides, we must ask ourselves whether we believe justice was served. And if it was not served, we must challenge ourselves and our communities to make change so that survivors who come forward in the future will have access to justice. Breiding, M. J., Smith, S. G., Basile, K. C., Walters, K. C., Chen, J., & Merrick, M. T. (2014). Prevalence and characteristics of sexual violence, stalking, and intimate partner violence victimization — National Intimate Partner and Sexual Violence Survey, United States, 2011. Surveillance Summaries, 63(8); 1-18. S. Department of Justice, National Institute of Justice and Centers for Disease Control and Prevention. (July 2000). Extent, Nature, and Consequences of Intimate Partner Violence: Findings From the National Violence Against Women Survey. Washington, DC. Tjaden, P., & Thoennes, N.